I have to admit that when I was first placed in Bogota, I was not incredibly thrilled. I grew up in a suburb outside of the Twin Cities of Minnesota and went to university in Duluth, Minnesota. I’m not used to large cities. I’m not used to lots of people. I’m not used to public transport. 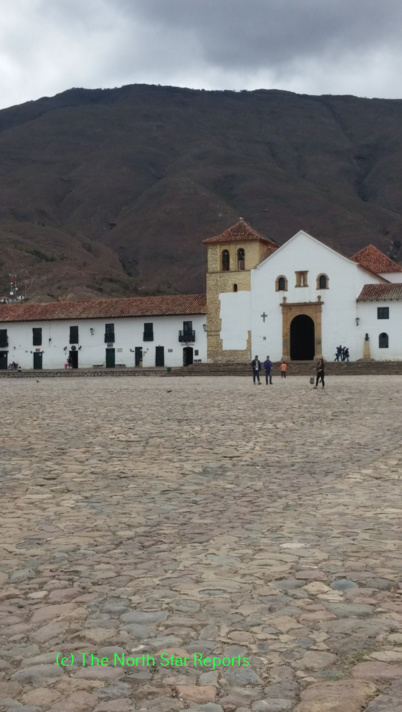 However, I’ve come to learn that Bogota offers an incredibly amount of opportunities–and one of my favorite offerings is the ability to easily travel to the areas around Bogota. At the end of every Transmilenio route is a Portal, and in each Portal is a mish mash of buses of all different sizes and companies with small plaques at the front. The buses go everywhere in the area around Bogota, and one only has to ask where the bus goes, hop on, and pay a small amount of money (4,000 to 6,000 pesos) at some point during the ride in order to travel to any one of the small towns surrounding Bogota. One of these towns is called Villa de Leyva. Villa de Leyva is gorgeous. It is everything that Bogota is not. It’s small, tranquil, peaceful, and, above all, clean. When a breeze blows down the cobblestones streets, it smells like rain or trees or the distant scent of cooking food, not trash or dirty water (as some areas of Bogota tend to smell). Things move slowly in this town. The city boasts a massive square that is, in fact, one of the largest town squares in the Americas. At night, the church steps are covered with people–locals and tourists alike–chatting, socializing, and drinking. Guitar music floats out of nearby restaurants and the dogs, so accustomed to people, will curl up and nap next to you on the steps without a second thought. While the city is a massive tourist destination and sometimes becomes clogged with tourists and backpackers on weekends, it still retains a sense of individuality. There are many glaring marks of tourism spread throughout the city–signs for ATV tours to archeological sites, bike rentals, buses that go to the various hiking destinations surrounding the city–but the sense of the city isn’t lost in the waves of people that come to visit it. Traveling through the mainly farmland countryside of Boyaca also allowed us the opportunity to see a bit of local politics. We visited the area in early October and local elections take place at the end of October, which meant that campaign season was in full swing. Every billboard had a campaign poster, and every building in Villa de Leyva that wasn’t a historical location had posters plastered across it. We even had the opportunity to walk through a political rally, which earned us a few confused stairs as the very obvious foreigners who really can’t vote. The posters created by politicians running in small towns on the countryside can be rather entertaining because they are obvious copies of more big-name politicians (Ex. those running for mayor of Bogota, the second most powerful position in the country), but without the giant production values for photography, staging, and second-opinions. Despite the fact that I was an obvious foreigner, campaigners at the rally still offered to give me a poster. This sounds like a fantastic adventure? If you chose to, would you be able to drive? It’s nice that the town still holds its tranquility even though it’s a tourist destination. The ostrich farm sounds interesting! Did you try ostrich while you were there? It’s cool that you were able to experience the more tourist side of the city while still experiencing the “heart” of the city via the political rally. If I could find a way to rent a car on the outskirts of Bogota and then drive, I definitely would! Traveling by bus is convenient, but you don`t have the freedom to stop at restaraunts, sights, etc. along the way. Many Colombian families spend their weekends taking road trips to cities outside of Bogota. There`s a huge culture of weekend traveling/getaways, and having a car would make the whole thing a lot easier. Also, did not eat ostrich. 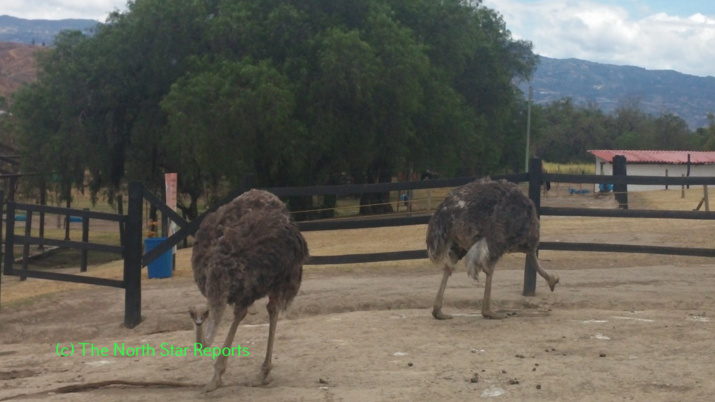 It`s unfortunately very expensive because ostriches are not common throughout Colombia. I loved the pictures you included with this article! 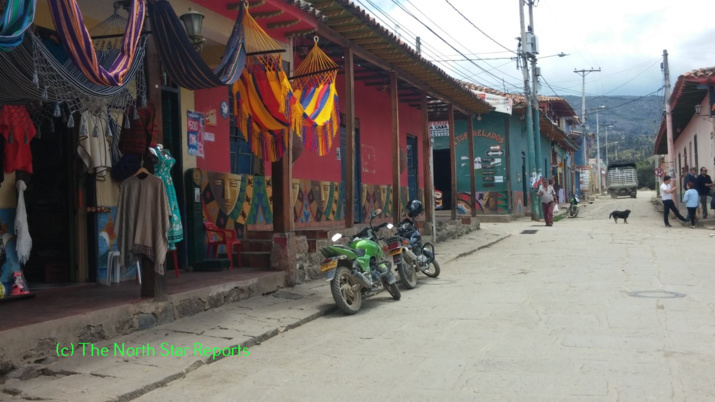 I felt they were wonderful representations of the calm and beauty you experienced in the Villa de Leyva. It is interesting that the campaigners still offered you posters even though they knew you were a foreigner. Did you notice any differences between their campaign methods and those of U.S. campaigners? There are definite differences in campaign methods. However, the methods that I saw are really only used in small towns in the countryside. Campaigning is much more similar to what is done in the states when it`s dealing with larger positions like the mayor of Bogota. Beer is a huge part of campaigning in small towns. When the candidates host rallies, they`re expected to provide free beer to the people who come to the rally, and they`re also expected to hire musicians to play and entertain people. It`s like a huge party and a big social event for the community, which also happens to include somebody telling everybody to vote for them. I was very surprised they gave us posters as well! I think that they were confused that we were asking, so they just gave us the posters because they weren`t sure what else to do. That is really neat that you can go outside the main city for a relatively cheap price using public transportation. The political campaigning you talk about is also really interesting. How is the campaigning different there than compared to here? Is the election of particular importance? This all just sounds so neat! I`m not entirely sure if the elections are super important. Based on campaign posters and slogans, it seems to me like the majority of political candidates in small towns all run on similar platforms. A lot of their “arguments” about why you should vote for them are based on the fact that they grew up in the town/parents grew up in the town/went to school in the town etc. And campaigning in the small towns involves a lot of beer! Something that`s a bit different from campaigning in the States. I’ve really been enjoying your series of articles. I think it’s awesome how Villa de Leyva has managed to balance being a popular tourist location while not becoming “too touristy.” It’s nice to learn a little bit about Colombia through your articles. It seems the majority of information I’ve heard elsewhere about Colombia (Bogota, in particular) always paints it as an incredibly dangerous place that should be avoided unless one wants to end up kidnapped. I’m enjoying your different perspective. After your previous posts it was really evident how cramped Bogota is. It was nice to read about a more relaxed place that is both beautiful and somewhat quite? On another note, what was it like seeing a political rally in a place like that? Was it similar to one that would take place here? Different? Wow! I’ve been following most of your blog posts about Bogota and your experience sounds absolutely fascinating. Do you feel that Villa de Levya is a little like Duluth in that way? It always seems like we cater to so many tourists but find a way to keep Duluth relatively stuck in its ways. Your pictures are really pretty, too. It makes me want to visit! I love doing touristy activities in cities I am somewhat familiar with. (For example, taking a boat tour of Lake Superior or going to Como Zoo.) I am actually quite surprised that tourists are allowed into the Ostrich pens, to my understanding they can be very aggressive (my family had Emus and they were very rowdy). I think that being able to ride a bus to a relaxing and scenic place like Villa de Leyva would be such a treat! Are the restaurants there particularly unique? It must have been uncomfortable and difficult to return to the busy and bustling city after leaving it to find peace and quiet. Did Villa de Leyva remind you of the areas around Duluth at all, with its rural aspects and friendly locals? It’s got to be interesting to compare the politics there compared to American politics, ranging from candidates themselves to how they are portrayed in the media and what issues are focused on. Specifically, what do you think makes you stand out as a foreigner, is it simple things like your skin tone and dress, or the way you speak Spanish? The ability to travel away from the main part of a larger city for a cheap price is always appreciated to get away and enjoy some of the tourist destinations/ unique areas that are specific to a certain city or region. Are the tourists treated as if they are a necessity to maintain the economic stability of the area? When arriving in the small town was the food exponentially better because of the small town feel and lacking of what seems to be a hustle that Bogota has? I would imagine that similarly to many places throughout the world in rural less developed areas that the restaurants have been garnishing their food from the same place for hundreds of years, perfecting the ingredient formulation. Looking forward to continual updates! It is always nice to get away from the city every once and awhile. When you were describing Boyaca a bunch of connections to Duluth were present which was really cool! It was interesting to read about the elections and how similar and yet how different they are compared to elections in the US. I thought it was awesome that they gave you posters even though you weren’t able to vote it just shows that they want everyone to know about their candidate hoping you’ll spread the word. 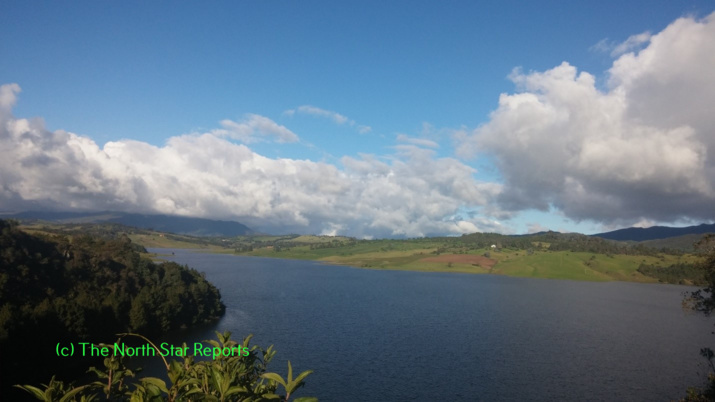 You talked about how the smell of Boyaca was completely different from Bogota. What other differences were there? Great Article! It must have been nice to see all the different arts and crafts at the shops. It would be cool to learn more about the arts there. How close did you get to the ostriches? Also did you happen to be the one to get chased, or did you see someone else get chased by an ostrich. It is nice to see what it is like outside of Bogota. It sounds even better because of how the dogs act around the people. I would absolutely LOVE that experience to be in a political rally as a foreigner, it seems really interesting to me but it sounds like they were accepting of your presences! I am jealous of the ability of mass transportation you have there. Although I enjoy having a car, sometimes I just simply don’t want to drive places. Awesome that you could hang ostriches! I found the bit about the town square to be interesting. Are towns still designed with the squares in mind? It reminds be of quads at colleges (If only St. Scholastica had one…), which is meant for people to gather for various reasons and is surrounded by the most important and oldest buildings on campus. What buildings surround this town’s square? I’ve really enjoyed following your travels in and around Bogota. When I have traveled I’ve always had some of the most unique and memorable portions of the trip come from the smaller or less tourist-y portions of the place. I’ve been able to have more pleasant conversations with locals that way- have you experienced the same? Thanks again for sharing. Big cities can sometimes become cramped and it sounds like a great escape to get out to a small town/village for a while. The atmosphere you described sounds very friendly and inviting, the fact that the dogs were so accustomed to people they would sleep next to stanger sound like a wonderful experience. The political rally also sounds interesting, it is kind of funny that it made it that much easier to pick out the obvious foreigners. Thanks for sharing! I think something that going abroad really teaches people is the importance of experiencing culture different from our own. The idea of traveling away from a city setting that you’re very comfortable with and exploring a county you’ve never experienced is scary! I’m glad to see you’ve enjoy the adventure life threw at you!! It sounds like you got to have an experience of a lifetime! Especially walking through the the Square and seeing the election season. I’m curious about how different it may or not be compared to hear. I bet the ostrich farm was pretty entertaining, especially if someone got chased. That would have me rolling on the ground in laughter. Thanks for sharing!